So you've rounded the windward mark and are heading downwind. Unlike the windward leg, a run is different because the fastest way to get to the bottom mark is to head straight for it. Or is it? If you were sailing on your own, then this might be true. But middle-of-the-fleet sailors usually have lots of other boats around them, and finding clean air can be a problem. So, let me tell you something about an Aussie sailor at the Cancun Worlds who taught us all an interesting lesson. 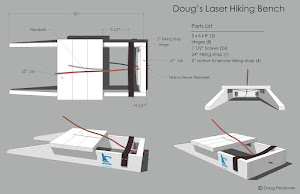 At the Laser World Championships, the course is a trapezoid with an inner or outer loop that is used to keep the various fleets separate. At the first windward mark, you turn onto a run if you're on the inner loop and onto a reach for the outer loop. Occasionally, the lead boat will get this wrong. At Cancun, the lead boat thought it was the outer loop and went off on a reach without looking back. The rest of the fleet rounded and headed straight downwind on a run. The Aussie sailor did not look back for about a minute, said (I'm guessing) "bloody hell," jibed, and came back to join the rest of the fleet on the run. So, how many places did this fellow lose? The answer is zero. In fact, he came back with the same lead he had at the windward mark. This is a big lesson for middle-of-the-fleet sailors. If you're in a run and you're in dirty air, you can sail a different course and not lose any boatspeed. Heading up onto a broad reach or bearing off to sail by the lee both work, so you have lots of choices. The fleet will tend to sail to the right of the rhumb line (looking downwind), so bearing off will often get you clear air. But you have less rights when you bear off because if there are boats beside you, you're the windward boat. And jibing only puts you on port tack. Look for clues from the boats behind you that might be taking your wind. If there is a wind indicator at the bottom of a mast it will not be very accurate, but ones at the top of the sail will be. If it's pointing at you, then you're in dirty air. You can also feel another boat's wind shadow by closing your eyes and feeling the difference in the pressure on your face. This takes practice and is your best way to judge clean or dirty air. While you're looking backwards, also look at the water for clues about changes in the wind pressure. On a run, pressure is king. Don't be afraid to change your mind. Remember, you can sail wide angles without losing any speed. This is perhaps the most forgiving part of the race course. I have no problem changing which side of the course I'd like to be on. I'm always asking myself, "is it time to change dance partners?" 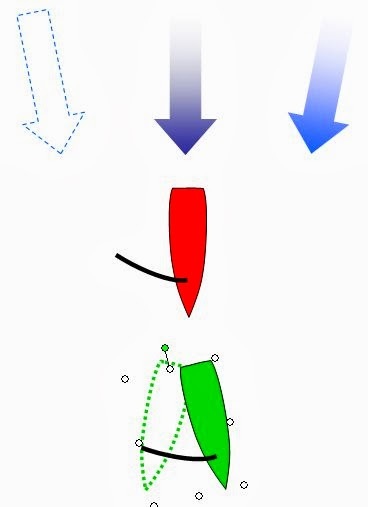 If there is only one bottom mark, try to get over to the left so that you'll have room at the mark. In a close fleet, you can gain or lose 10 places by not planning ahead. When I was a kid, sailing downwind was like a timeout when everyone took a break until racing resumed at the bottom of the course. Before Lasers came out, I sailed an OK Dinghy which is like a Laser made out of plywood. And I remember reading about a really young sailor from Sweden who won the World Championships because of his amazing speed downwind. And I remember thinking, huh? Today, the downwind part of the course is really important. I saw an extreme example at the 2012 Laser Nationals where we all saw 2011 Youth World Champion Erika Reineke not worry about her position at the windward mark because of her remarkable speed downwind. She always stayed in clean air. And the distance she gained downwind was too much for people to make back upwind. So for middle-of-the-fleet sailors, use your options and do everything you can to stay in clean air. Sailing in a straight line is rarely your best option. Even skippers of really big ships get this wrong. 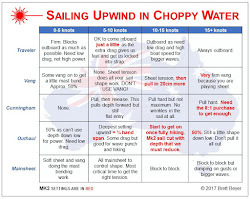 To be honest, if a boat is reaching and the rest of the fleet are going downwind, maybe playing some angles on the downwind, it is highly unlikely that the reaching boat would still be leading, unless the reach was incredibly broad, or the other sailors were very slow! Good point. I forgot to add that the race in Cancun was windy. With less wind, you must indeed sail a broad reach. But my point is still valid - sailing angles is fast even if there are no waves to catch. The problem shifts from "I'm in bad air" to "which way do I want to go." If there's more pressure on one side, the decision is easy. With all things being equal, I sail by the lee and go to the left. But how did the reaching guy at the worlds still lead! 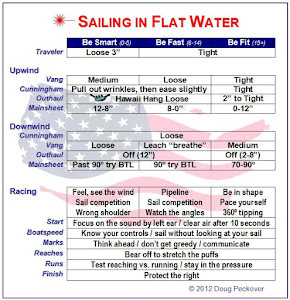 I agree angles is always faster as you have flow over the sail instead of the wind just pushing the sail. By the lee is always fastest, and its more stable even in 20 knots. The easy answer is that he was going 50% faster than everyone else (not sure about the math, but you get the idea). The hard part is deciding when the extra speed will make up for the extra distance. Waves certainly make this an easier decision. But in light air when there are no waves it's tougher, and there are people better at making this decision than me. I like to keep it simple - I do whatever is necessary to just stay in clean air and in pressure.